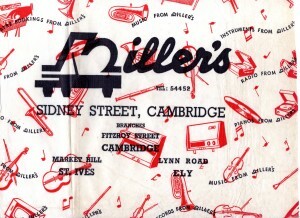 Featuring prominently in the life of Cambridge for well over a century, Miller’s Music began at 6 Sidney Street in 1856. Miller’s music shop was founded in 1856 by Albert Tubelcain Miller and in its early days was styled ‘organ builders and tuners’ and ‘music and music instrument sellers’. It was located at 6‒7 Sydney Street, next door to Foster’s (now Lloyds) Bank and opposite Boots the chemist. There it remained for 110 years, moving in 1966 across and up the street to No. 53‒54, close to Eaden Lilley and the old Arts Cinema. Then in 1974 it moved again, to the corner of Sussex Street and Hobson Street, where its name can still be seen. 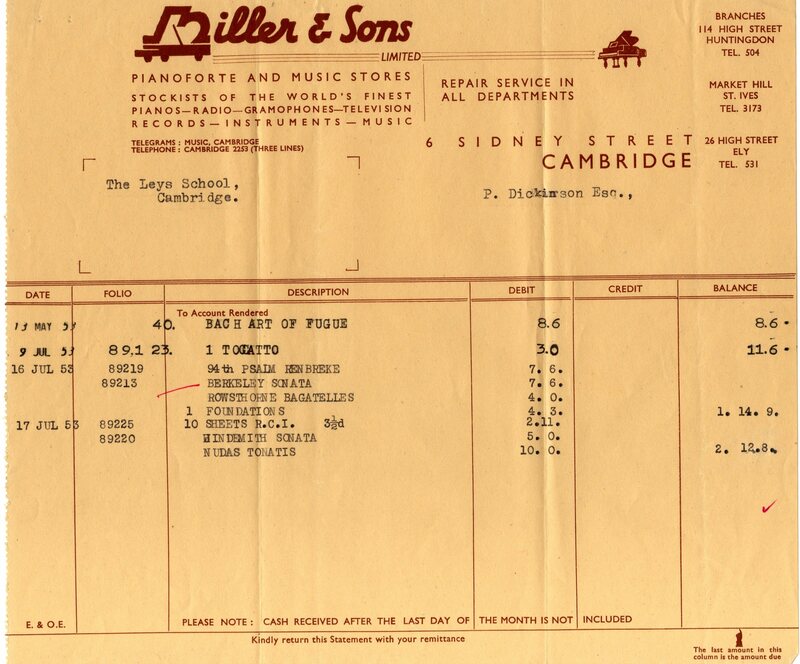 Variously named Miller’s Music, Miller & Sons, and Miller’s Music Centre, the business stayed in the family until 1947, and returned to it in 1954 when Miller’s four grand daughters bought it. 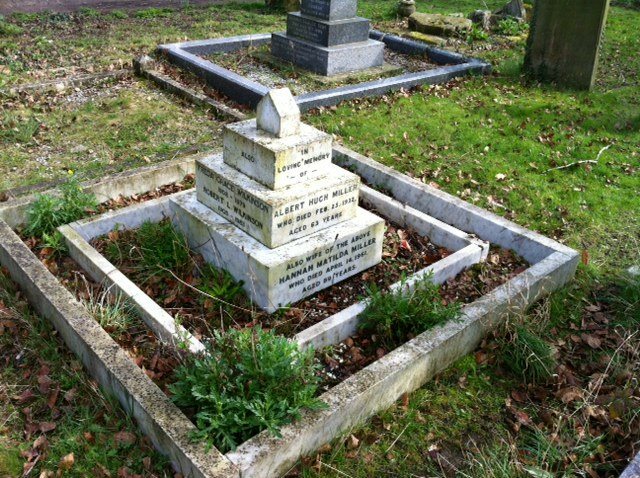 In addition to selling and maintaining organs, pianos and other instruments, selling sheet music and books and late gramophone records, the firm also tuned instruments throughout East Anglia, and sold, rented and serviced TVs, gramophones and radiograms. 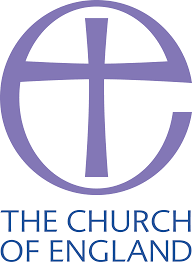 In its heyday, the firm had branches in Ely, St Ives, King’s Lynn and Haverhill. 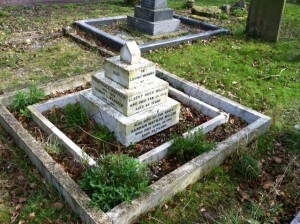 In 1974, it was bought by Barry Robinson, great-grandson of the founder, and was finally sold to Ken Stevens only in 2012.